We are an ADHD family. My daughter, Monkey, has ADHD, I have it, my daughter Bo most likely has it (she is too young to officially diagnose), and my husband thinks he might have it. Over the years, I’ve heard a lot of ADHD myths that spout off outdated, untrue, and hurtful statements about people with ADHD. In response, I’ve listed some of the most common ADHD myths that I hear often and offer the truth instead. 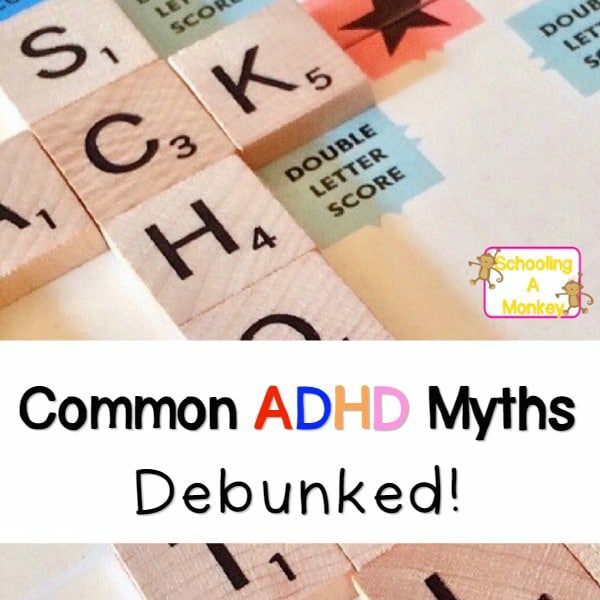 Have you heard these common ADHD myths? It is time to refute these outdated statements once and for all. I can debunk this ADHD myth first hand. My daughter, Monkey, has ADHD, and so do I. Recent studies, in fact, have found that girls are just as likely to have ADHD as boys. The difference is that girls tend to be less active in general, so a hyperactive, inattentive girl can fly under the radar, even if she is struggling with ADHD. More women are diagnosed with the disorder in adulthood than men for this reason. There are studies that suggest every now and then that ADHD might be caused by diet, vaccines, trauma, or a number of other issues. The only scientific truth, however, is that ADHD is genetic. If you are related to a person with ADHD, you are also likely to have it. Researchers now estimate that about 90 percent of all ADHD cases are genetic in origin. I’m in a lot of parents of kids with ADHD groups, and in most of these groups, the general fear is that the distraction and hyperactivity levels of the child will prevent them from living a quality life as an adult. Scare studies have also uncovered some evidence that children with ADHD are more likely to engage in risky behaviors like drinking or doing drugs. All of my siblings with ADHD are living normal lives, and no one has gone off the deep-end with substance abuse. My siblings and I have all managed to make it to adulthood without medication, hold down jobs, and live otherwise successful lives. ADHD is not something to be frightened of. Some studies have suggested that some kids grow out of their ADHD, but personally, I believe that it is something you are born with and never goes away. Kids who outgrow it might be misdiagnosed. There are three types of ADHD, only one of which is heavily hyperactive. The other type is inattentive, and the third type is a mix of hyperactive and inattentive (Monkey and I have the combined type). Many girls, for example, show more symptoms of inattention than hyperactivity, which is why they are often overlooked. You cannot punish someone’s brain into working differently. However, there are coping strategies and self-discipline measures that can be taught/learned to help kids with ADHD manage their symptoms. For example, one way that I keep from losing things all the time is to have a set place for my keys, shoes, and purse. It never fails that if I forget to put these items in their proper place, I will entirely forget where they are. 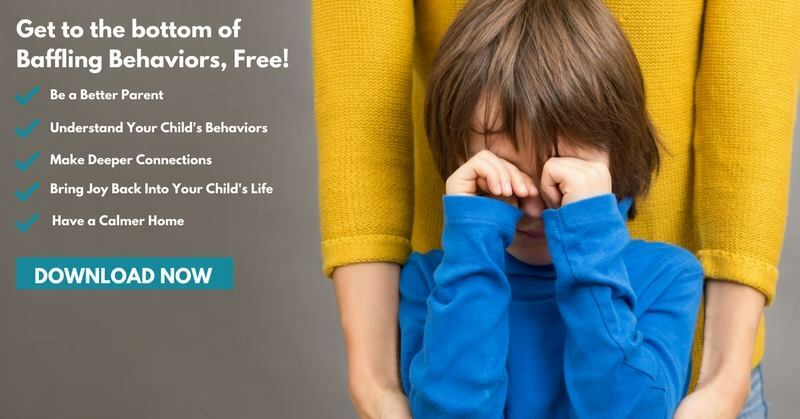 Right now, my friend Dayna has a free Behaviors Workshop, all about getting to the bottom of difficult emotions in the classroom and what those kids need. If you teach any child with ADHD or special needs, you won’t want to miss this incredible workshopbased on over 12 years of classroom and personal experience working with kids struggling with emotion control. We focus a lot on the attention problems of ADHD because it hampers a child’s ability to perform well in school. But ADHD is typically more than just an attention issue. ADHD can cause a wide range of problems both with social interaction and self-esteem. Mood swings and depression are common in kids with ADHD. Relationships are often harder because impulsive thinking leads to saying things that people think are rude and hurtful. Tempers are often explosive and difficult to control. Ignoring these issues to only focus on the attention problems will make it harder for a child to learn how to interact with non-ADHD individuals. Children with ADHD often have co-morbid conditions related to behavior, depression, anxiety, and more. Studies have found that about 30 percent of all individuals with ADHD also have depression or another co-morbid condition. In fact, many individuals with ADHD also suffer from an anxiety disorder. 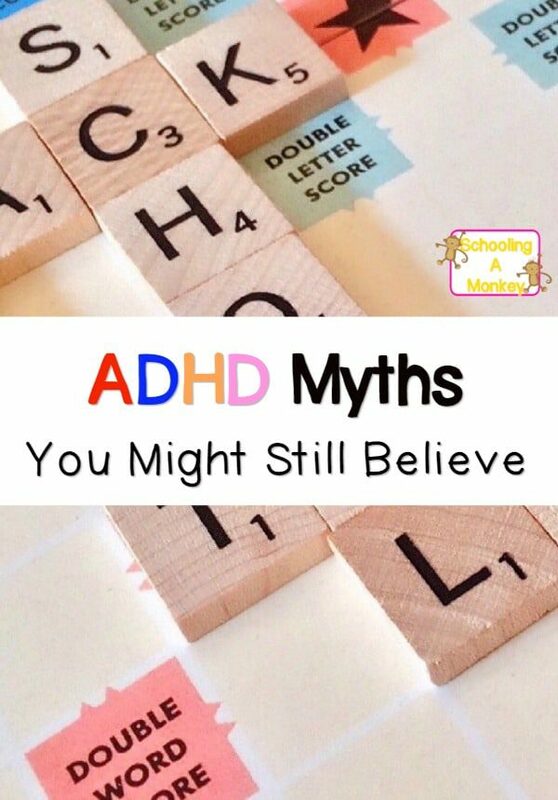 Many of these ADHD myths have been ingrained into popular thinking, which is why as ADHD parents, it is important to recognize the myths you might be holding on to and let them go. 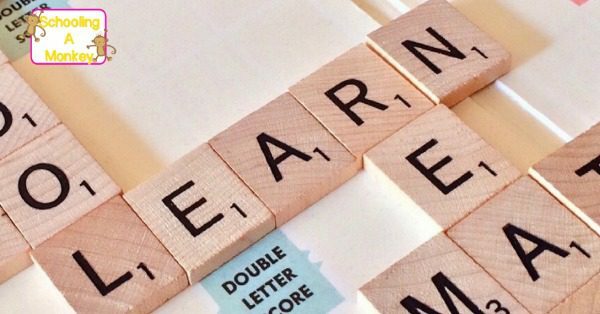 It will become easier to implement strategies to help a child with ADHD focus, for example, if you aren’t holding on to outdated myths.